THE HISTORY MAKERS: Two iconic Black women get their due. Amid a palpable meditation on racism, war and poverty, Betty & Coretta shines a welcome spotlight on the awe-inspiring efforts of two remarkable African-American women: Coretta Scott King and Dr. Betty Shabazz in the wake of their husbands’ assassinations at the height of the American Civil Rights Movement. Recently shown on Lifetime, it’s a dignified, respectful look at their courageous fight for social justice and their quest to ensure that the legacy and memories of Dr. Martin Luther King Jr. (Malik Yoba) and Malcolm X (Lindsay Owen Pierre) live on. Mixing archival footage and present-day film work, it’s beautifully filmed by director Yves Simoneau with vivid candy colours that bring the history to rich life on the small screen. Ruby Dee, who knew both of these women personally, is a charismatic narrator accompanying viewers on this fascinating journey through a significant period in Black history. 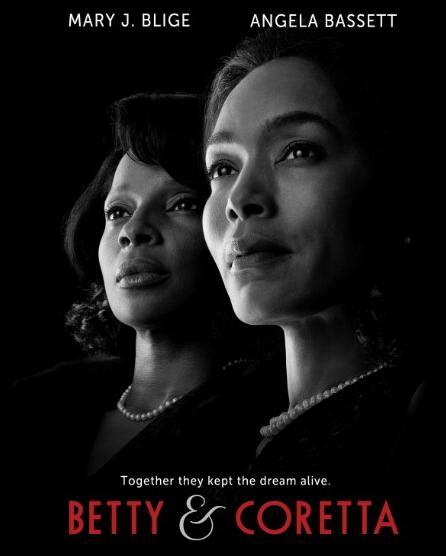 But the believable performances rendered by lead actresses Angela Bassett and Mary J. Blige are what give the film its true power.